As financial turmoil in Europe preoccupies political leaders and global markets, it becomes more important than ever to understand the forces that underpin the European Union, hold it together and drive it forward. This timely book provides a gripping account of the realities of power politics among European states and between their leaders. 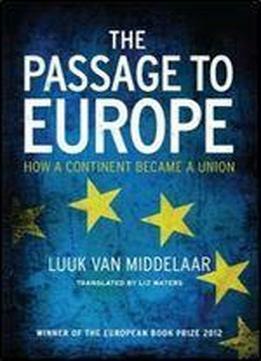 Drawing on long experience working behind the scenes, Luuk van Middelaar captures the dynamics and tensions shaping the European Union from its origins until today. It is a story of unexpected events and twists of fate, bold vision and sheer necessity, told from the perspective of the keyplayers from de Gaulle to Havel, Thatcher to Merkel. Van Middelaar cuts through the institutional complexity by exploring the unforeseen outcomes of decisive moments and focusing on the quest for public legitimacy. As a first-hand witness to the day-to-day actions and decisions of Europes leaders, the author provides a vivid narrative of the crises and compromises that united a continent. By revisiting the past, he sheds fresh light on the present state of European unification and offers insights into what the future may hold.